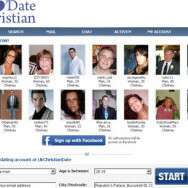 UKChristianDate.com is a great way to go if you are tired with unsuccessful traditional dating not bringing you any results. This type of dating will surely save your efforts and time. It is a perfect variant for busy Christians, single parents, and simply Christians, who were not lucky with the local dating or have troubles with making new acquaintances at public places; the site works for those, who are shy by nature as well. The data base provides thousands of single Christians looking for love and marriage, thus increasing your chances for meeting your special mate. Someone will undoubtedly catch your eye! Besides this, UKChristianDate.com is a great way to share your faith and meet new Christian friends.